Students will sometimes employ all sorts of stratagems for seeking extra attention. Quite apart from those who talk too much in the classroom, there are those who repeatedly ask for lengthy explanations or advice – usually just after the class has come to an end. It is obviously part of any tutor’s task to deal with these cases and keep them within moderate bounds, and in the majority of instances a firm attitude will do the trick. But just occasionally there appear students whose demands verge on the pathological. Instances of this which involve aspects of essay marking (and which are particularly difficult to deal with on distance learning courses) are those in which the student makes only a perfunctory attempt to write the essay, but surrounds this attempt with either elaborate excuses, demands for explanation, or in the worst cases complaints about the question, the course materials, and in some instances the tutor. To give specific (and genuine) examples, the following are very typical and share common elements of a clearly psychological origin. The student who wishes to discuss the essay before submitting it – and then uses the occasion to ‘think out loud’ on the subject(s), inviting the tutor to select the most appropriate observations. page letter discussing why the assignment was not done. as a substitute – which often turns out to be either therapeutic writing or a virulent contribution to some moral crusade. topic then becomes the vehicle for a protracted discussion with the tutor. The student who claims that the tuition you are offering is not good enough, that you fail to understand the points being made in the essays, and please would you give a fuller explanation of just what it is you are looking for. Clearly these students are crying out for personal attention, but they are doing so in a manner which is likely to make enormous demands on your time, and in most instances they are finding excuses to avoid doing the work which the course asks of them. Dealing with such cases where there is personal contact between tutor and student is difficult enough – but on distance learning courses the problem is much worse. Many sympathetic and diligent tutors have found themselves drawn into lengthy correspondence or telephone conversations with students who are merely using a course as a vehicle for personal support or something against which to rub their troubled egos. 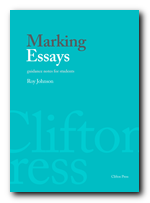 As far as marking is concerned, you should mark in a perfectly normal manner anything which is produced in response to the essay or the assignment question, making whatever allowances you think fit. But you are not obliged to go on offering lengthy (especially written) explanations giving reasons for your judgements. Nor are you obliged to comment on fifty pages of personal memoirs or bulging folders of poems on the subject of being sensitive and misunderstood. You should keep in mind that the variety of disablements from which students might suffer is much greater than most people imagine, and that these disablements might not be easily visible. For instance, some forms of severe arthritis can make it very difficult for students to write as clearly as you (and they) might wish. It is also commonly observed that having one form of disablement does not prevent some people from having another as well, and indeed it is likely that one form alone will produce social isolation and all sorts of daily difficulties which might hinder the production of even the simplest piece of written work. As far as marking is concerned, you should give the student an opportunity to inform you of the limitations the disability creates, and then make any allowances you think appropriate. It might take them longer to produce the essay, the finished product may be untidy or scrappy, or it might be produced with very limited access to materials or processes most of us take for granted. Some disabled students for instance are forced to have others type or write out their work for them, and it is not uncommon for the amanuensis to mis-hear words, not to catch the grammatical sense of what is being dictated, and to make other mistakes caused by the fact that they do not necessarily understand the details of what they are writing about. I will take the risk here of describing the most difficult case in my own experience, confident that it will not give any offence but will offer a rich illustration of the potential difficulties – and a novel solution. The person concerned was an Open University student, a young man who was totally blind and who lived alone with his elderly mother who could not speak English. All his course materials came to him via radio and the soundtracks of television broadcasts, and his subject of study – the nineteenth century novel – was only available to him on ‘speaking books’ recorded by amateur volunteers. I invite you to imagine the difficulties of answering questions on huge novels such as Anna Karenina and Middlemarch under these circumstances. 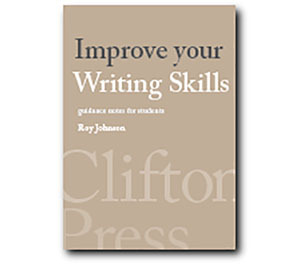 Imagine the problems of ‘note taking’, of recalling something heard a month earlier, of finding illustrative examples. These study tasks are difficult enough for fully-sighted students. He produced his essays on a typewriter with a special keyboard – but of course he could not see the results of what he had typed, and his mother could not read them back to him. The essays were grammatically and typographically a mess, but there was usually an intelligent response to the question beneath the surface. My problem was finding a means to communicate my comments, since writing on the script would be a waste of time. We quickly stumbled onto the use of audio cassette tapes. On receipt of the essay I would decipher it and read it out loud onto tape paragraph by paragraph, commenting on it as I went along, pausing to explain points and to offer advice. I then sent him the tape, to which he would listen and then use to record his own set of queries, which were then returned along with the next essay. Although it is not directly a subject of pedagogical concern or even an academic matter at all, one of the most powerful forces bearing upon what I have called the hidden army of tutors working on a part-time basis is the fact that the vast majority of them will be paid on a fixed fee basis for marking essays. The Open University works in this way, as do the National Extension College and many other colleges of further and higher education. Indeed, there are now many institutions which merely pay fees for class teaching and expect tutors to mark written work in their own time, with no extra payment for the effort involved. What often happens in such cases can be very invidious for all concerned. Those tutors without any permanent employment who are working on a part-time basis will often exploit themselves voluntarily by spending a lot of time marking essays for very little payment. They feel a commitment to their students, and they may wish to show willing to their employers in order to secure more teaching hours. They may also feel additionally aggrieved by the knowledge that those tutors who have full time jobs may easily be able to incorporate part-time work into their normal working lives without any great difficulty. A lecturer in higher education for instance might easily set aside an afternoon for marking essays from one institution whilst still being paid by another. The time spent therefore represents a form of institutional subsidy – albeit unacknowledged. This is a subject which combines issues of professional working conditions, economics, and institutional politics which cannot be taken further here. But these conditions very frequently result in tutors feeling various combinations of guilt, inadequacy, and a fear that they are under pressure to demonstrate their thoroughness – whilst working for the same rate of pay per hour as a domestic cleaner.